Published on April 30, 2018 in Winnipesaukee Resort. Closed Tags: gilford nh, patricks pub, weirs beach hotel. Located down the road from the Summit Resort in Gilford, NH is Patrick’s Pub & Eatery, which is truly a favorite spot among many in New Hampshire’s Lakes Region. Open year-round Patrick’s Pub has recently been named Best Irish Pub in NH and Best Burger in the Lakes Region by New Hampshire Magazine. 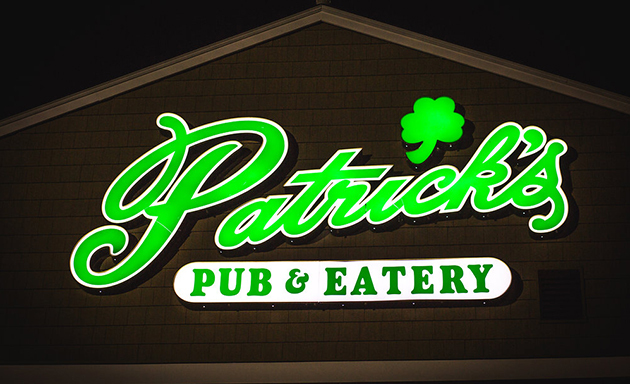 Patrick’s Pub offers delicious all-American comfort food along with your proper Irish Fare that includes their take on poutine, shepherd’s pie, and drunken chicken and chips tossed in their special Irish Whiskey BBQ sauce. 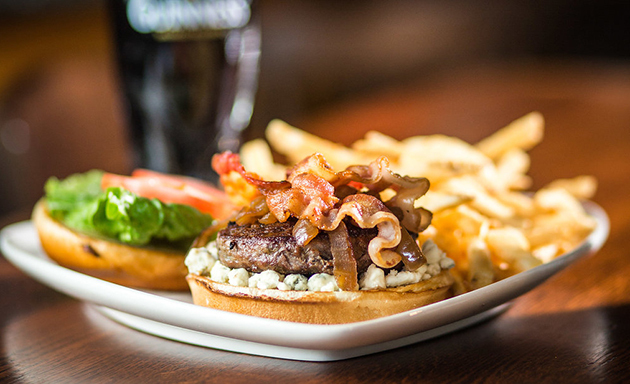 There is something for everyone whether you want to enjoy a burger, Irish specialties, or a delicious steak you can find it here. They even offer a gluten free menu! The Pub has entertainment and specials every night of the week in the evening so go ahead and enjoy a little entertainment over dinner and drinks on your next stay with us. On Monday nights grab your friends and family and test your knowledge during Team Trivia night. Tuesday’s join in and participate or sit back and listen during open mic night. Wednesday’s are for the ladies where you can order ½ off drinks from 7-9:30pm and earn your chance to win special prizes! Every Wednesday there is also a Pub Mania Shuffle for both Men and Women for a $10 entry fee. The Shuffle includes a 2.5 mile fun walk or run and you will receive a complimentary beverage upon finishing along with an entry into the post-Shuffle raffle. 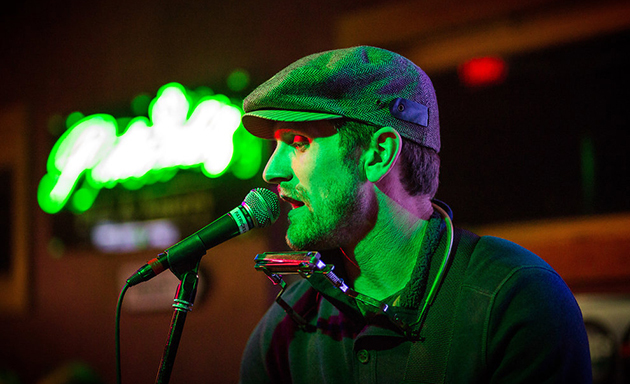 On Thursday nights enjoy live, acoustic music or head over on a Friday night to participate in the Dueling Piano’s where diners get to pick the music and join in on the show. 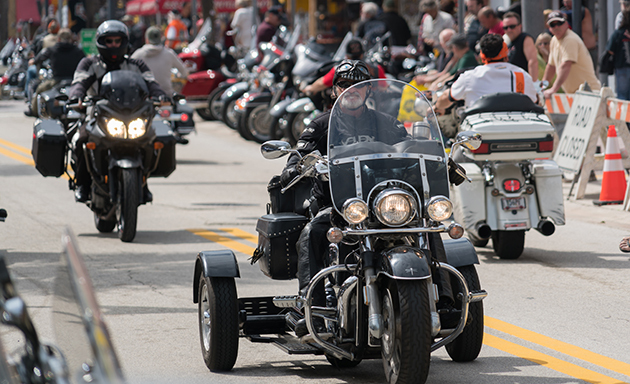 Tribute nights on Saturday are always a blast; enjoy great music, genres and bands from throughout the decades. Sunday Funday is where it’s at, Lucky Hour is all day long! That means $1 off all beverages at the bar and 1/2 off select appetizers. Patrick’s Pub is a must for dinner on your next vacation to New Hampshire’s Lakes Region. At the Summit Resort we have partnered with Patrick’s Pub to offer our guests an exclusive Weirs Beach Summer Family Getaway. Stay for three or more midweek nights in a spacious two-bedroom suite and receive 15% off accommodations, this package also includes a $75 gift card to Patrick’s Pub. Enjoy full use of the indoor pool with water slide and the large roman spa. Each guest also receives 25% off vouchers for Gunstock Mountain. During the summer, Gunstock offers unique attractions including Aerial Treetop Adventures, ZipTour Ziplines, a Mountain Coaster and more. To read about all the activities going on at Gunstock check out our blog Gunstock Summer Adventure.